ROSTOV-ON-DON, April 10. /TASS/. 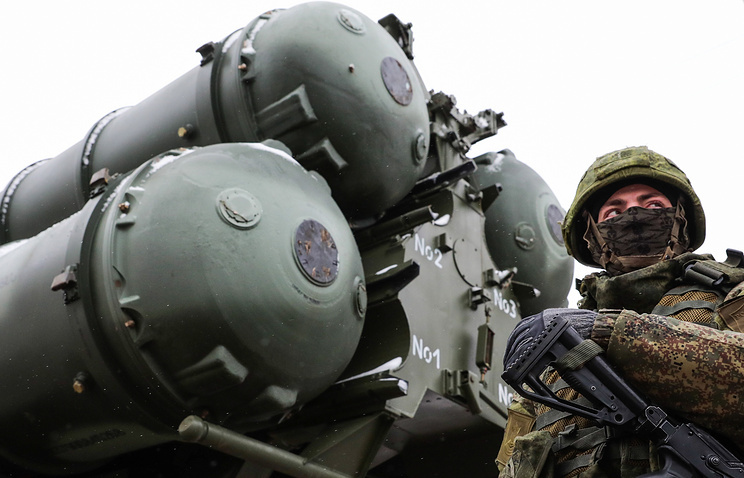 Air defense systems S-400 Triumf stationed in Crimea have practiced elimination of air targets by conducting simulated electronic missile launches, the press-service of the Southern Military District said on Wednesday. "The fighter bombers were hypothetically eliminated by S-400 missiles before they could cope with their tasks," the press-service said. The S-400 drills were part of the routine check of the 4th Aerospace Force and Air Defense Army units held in conclusion of the winter training period.